SusieQTpies Cafe: Share your favorite PEEPS moment! Raise your hand if you LOVE PEEPS! Which season of PEEPS are your favorite? Share you memories and recipes with us! I have fond memories as a kid getting the cute lil' chicks in my Easter basket! I, of course, passed that tradition on to my daughters. They have no clue what life was like back in the 70s & 80s because back then we only had the PEEPS chicks. I do believe that the bunnies could be purchased when I was a kid but I always remember getting bright yellow chicks! As for these crazy modern times, PEEPS seem to pop out for all the top candy buying holidays! Peeps are out at Valentine's Day, Halloween, Christmas, Easter and more? I'm not sure but I think I saw American Flag peeps once! Which are your favorites?? Which PEEPS have you seen? Is there a PEEP out there that you wish they made? My most favorite peeps moment was last year when my brother-in-law came for a visit. He was 20 at the time and a junior in college. You can imagine his maturity level being less that the maturity level of my tween & teen daughters. He is real close in age with my girls and so they have always shared good times together growing up. His visit was in the spring so the evenings were cool which always means BONFIRE! 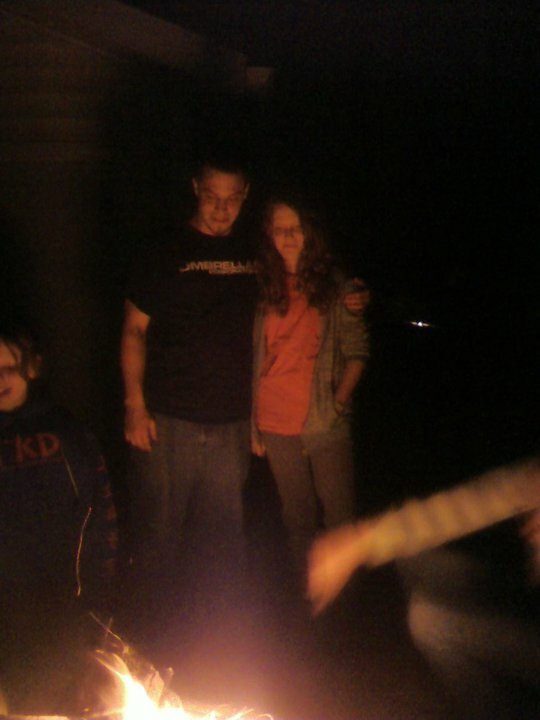 All of us were sitting out around the fire talking, laughing, making & eating smores. 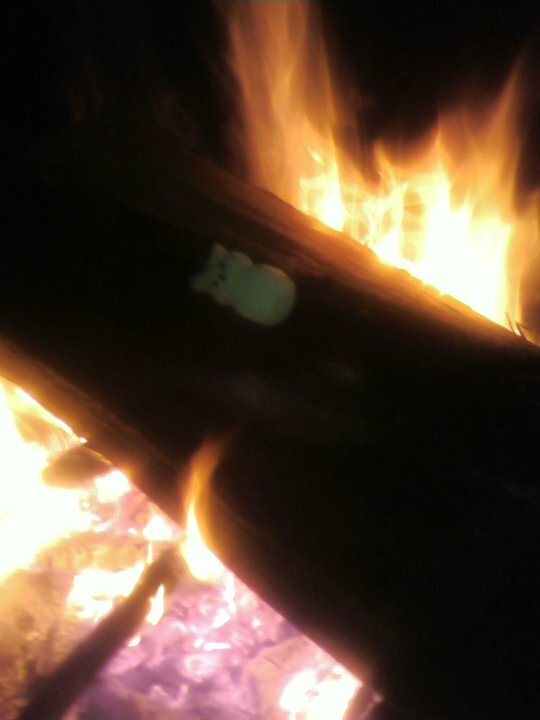 Next thing I knew, the Easter PEEPS where out and in the fire! Uncle Brian, Mr. Firebug, encouraged and I'm certain spear-headed the entire plan! 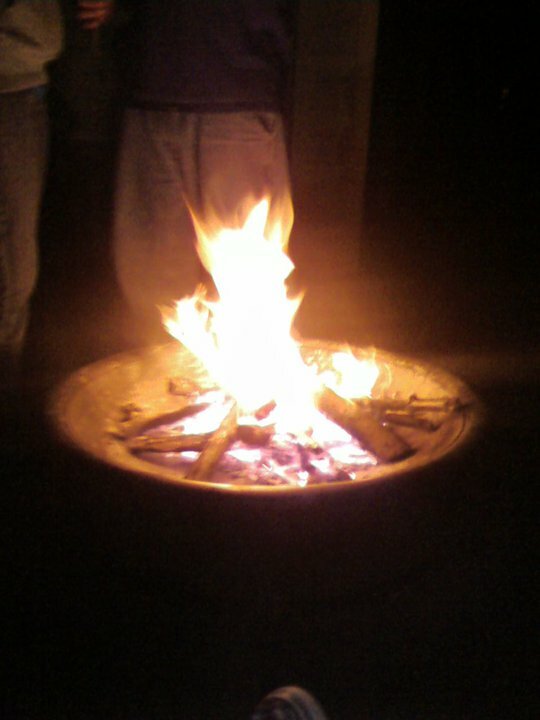 We were now making smores with the peeps! I do have to admit, though, that PEEPS as a smore is TASTY! I think they have a higher sugar content than just plain, boring marshmallows. Before I knew it, they were putting one PEEP in the fire at a time so they could see the peep grow and burn. It really was funny but I felt so sad for the lil' chicks and bunnies. It seems, now we have a new PEEP tradition at our home especially when Uncle Brian comes for a visit!!!! I hope you enjoyed the photos! I just happen to have a few on my cell phone! Of course for 2011 the cell phone pictures aren't so great but you get the gist of our fun! One of our newest tradition is to make and share PEEPS Treats in a jar! These are great for the kids to make and pass out to teachers, girl scout leaders, Sunday school teacher and more! Enjoy! So what is your favorite Peeps memory?? Do you have a favorite Peep holiday? I hope you'll take a minute and share with me! My husband thinks I am disgusting, but I like to unwrap my peeps package and let them sit for a few days....so they get good and stale. Then I will eat them. But then again, I like warm, flat diet coke! 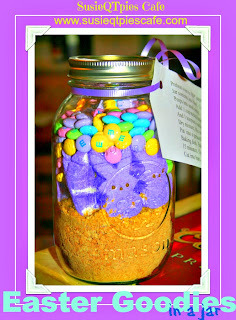 The Peeps in a jar are so cute! Can you share what the recipe says? I've eaten them stale before, but I love them on s'mores!! I'd love the recipe for those treats... I'd be ever indebted to you if you'd email it to me. :) My hips.. maybe not so much!